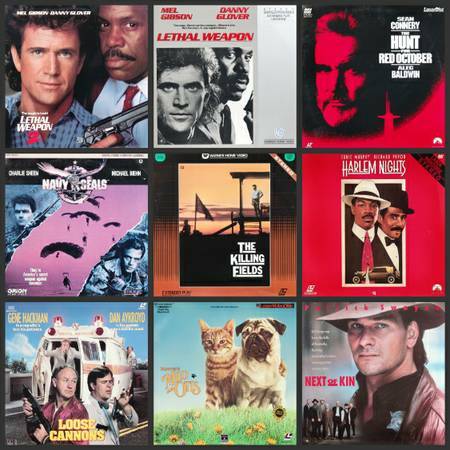 Featured are eighteen assorted original retail version 12" laser discs in sleeves with jackets. 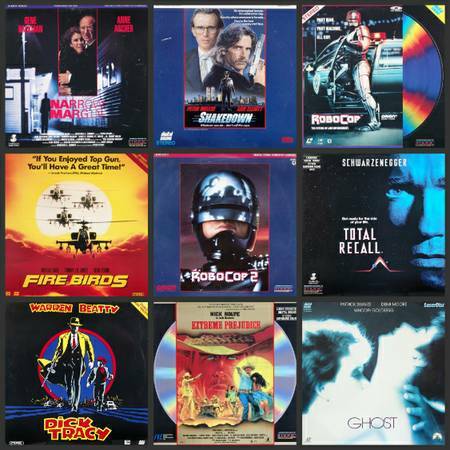 Enjoy them on a laser disc player or they look great framed on your wall. Laser Discs were gently played once and are in overall excellent to like new condition. All have been fully tested. Jackets are in very good to excellent clean condition with minor shelf wear. From a smoke-free environment.